Where: Histology Seminar Room (ground floor), Semmelweis University, 1st Department of Pathology and Experimental Cancer Research, H-1085 Budapest, Üllői út 26. Get directions with OpenStreetMap or Google Maps. When: Apr 17-18, 2019. Add to your Google Calendar. The room is not wheelchair / scooter accessible. Contact: Please email sebestyen.endre@med.semmelweis-univ.hu for more information. 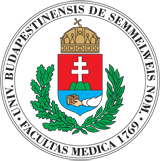 This event is sponsored by Semmelweis University Science and Innovation Fund, Omixon Biocomputing Ltd and also supported by the hungarian ELIXIR node. Our delivery plan can be seen here.